James Bay (traditional Lekwungen name: sxʷeŋxʷəŋ təŋəxʷ ) is the community west of Beacon Hill Park and south of Victoria's Inner Harbour. The deadline to be included on the printed map has passed but you can still get pinned to the online map. Maps available at local merchants, coffee shops, and community agencies as of Feb. 21. Maps available at New Horizons 234 Menzies, JB Community School Centre 140 Oswego and Heron Rock Bistro (Croft at Simcoe) on the nights of the event. 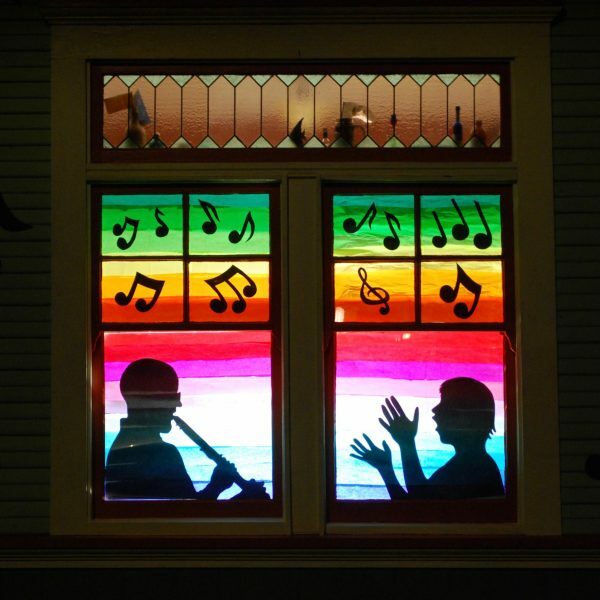 James Bay Community School and James Bay New Horizons are delighted to bring North America’s first WINDOW WANDERLAND event to the streets of James Bay between 5-10 p.m. Feb 24/25. With your help we will transform our neighbourhood into an outdoor gallery for all to wander through and enjoy. Everyone is encoraged to take part. Here’s how: Make a display in a window(s) of your home, building, business, school, church, day care, car, camper van … Please don’t feel intimidated! A ‘display’ could be as simple as a lit candle, an illuminated book or image, fairy lights or toy balloons. You could just throw open your curtains and carry on …or you could go all out and stage a performance in your front room or project images onto your building! Simple or spectacular… It’s completely up to you. Anything goes… so long as it’s family friendly! Even if you don’t make a display you can participate: Consult the map online or pick- up a paper copy and wander through the neighbourhood to enjoy what everyone has done! Please remember this is a car free, pedestrian powered event. Safety first…light up for the walk. Go in a group. Maybe take a warm drink. Have fun! Click on ‘take part’ to register and add your location to the map. Like us on Facebook. Tell your friends and neighbours and ask them to get involved too! Maybe have a hot choclate station in front of your home? The event is about making connections and building community. There is no script so let your imaginations fly free…. Maps will be available at local merchants and coffee shops as of FEB 21 as well as New Horizons 234 Menzies, JB Community School Centre 140 Oswego and Heron Rock Bistro (Croft at Simcoe) on the nights of the event.